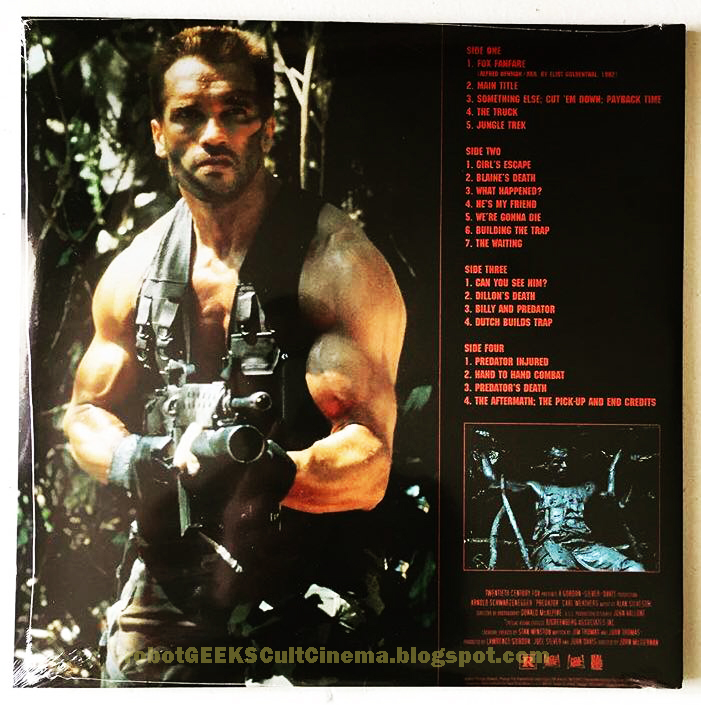 robotGEEK'S Cult Cinema: Alan Silvestri's Predator Score Now On Vinyl! Alan Silvestri's Predator Score Now On Vinyl! Being the collector that I am, one of the things I love to collect is film soundtracks and scores, and Alan Silvestri's legendary score for Predator has been high on my list for as long as I can remember. While I never went nuts trying to track it down, when it would cross my mind, I would randomly search for it on various online platforms, but as you may or may not know, it's one of the hardest scores to come by, so when you do find it, it's not cheap. And as far as I can tell, it's only ever been released on CD. And please, before you bite my head off if I'm wrong, this is just going on my personal experience and research. It may have gotten a vinyl release somewhere else in the world at some point, but to my knowledge, it's never gotten a cassette or vinyl release here in the United States. Again, if I'm wrong on that, don't beat me up too bad on that information. And if I am, then holy cow. This has got to be the rarest film score on the planet because I've never even seen an image of it. So I'm pretty sure that it hasn't, which is really surprising. But I'm confident in saying that it's never been released on vinyl. That all changed last month when I discovered that a company called Real Gone Music somehow was able to get the rights, produced newly commissioned artwork and released this baby for the very first time on vinyl in a Limited Release of only 1300 copies, when that hadn't been done before. Not only that, this crazy news flew so far under the radar that not a lot of people, including myself, even knew about it until it was already out and people were posting their pictures of their newly shipped pre-orders. How did I never hear about this??? Of course, by the time I heard about it, Real Gone Music had already sold out by that point. Not surprising. But there's still hope! At this time, you can easily find it on a number of online sites like Amazon, eBay and a whole bunch of others. You just need to do a google search and you'll be set. I was able to find mine on eBay for roughly the original asking price of $39.95 (Real Gone Music's price). As of this post, I still see some going for around the $45 range and higher up to over $100. So if I were you, I'd grab this while you still can for a relatively decent price because you can rest assured that this will only go up higher and higher in price soon. Alan Silvestri's score is one of the most recognizable scores in film history. He was able to create something so unique and macho for a film that blended elements of both action and horror. 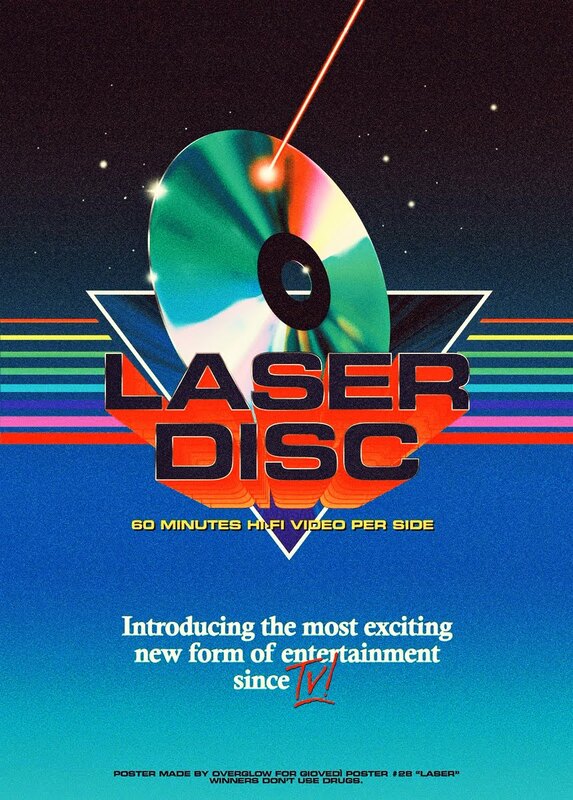 It helps that it was at a time (the 80's) when some amazing scores were coming out left and right. You can't say that anymore, because it feels like the industry has been all tapped out, but creating a memorable and iconic score for any genre of film was just as important as the film itself back then. Sadly, that's not the case today. In fact, I can't remember the last time a score stood out in a recent film. Maybe Turbo Kid? 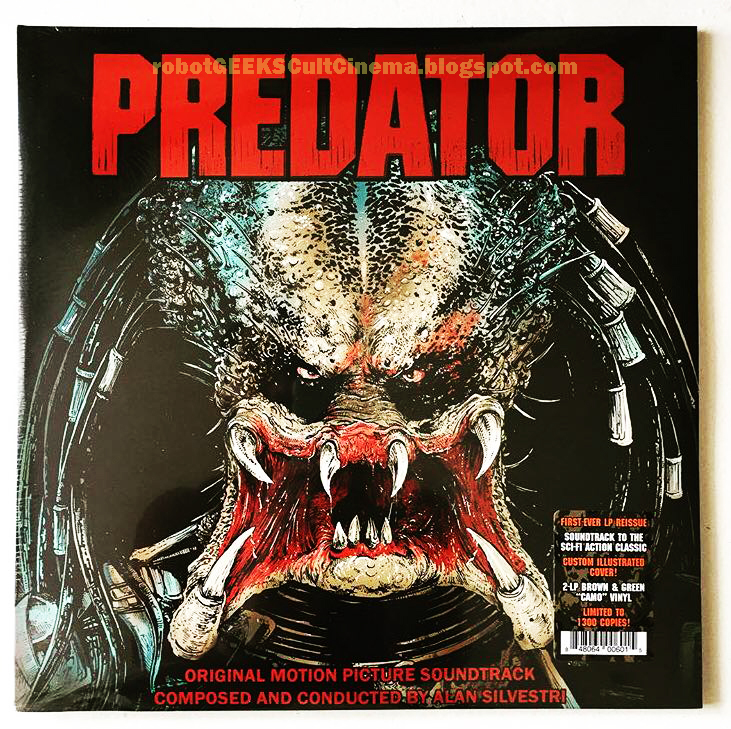 Alan Silvestri’s masterful score to Predator has been one of the most sought-after action film soundtracks of all time, sparking no less than three limited-edition CD releases that all successively sold out in short order. And it’s little wonder; fresh from back-to-back triumphs with Romancing the Stone and Back to the Future, Silvestri employs a full orchestra, occasional, deft electronic touches, and—most of all—bruising percussion to fashion a score every bit as muscular and hard-hitting as the film itself. 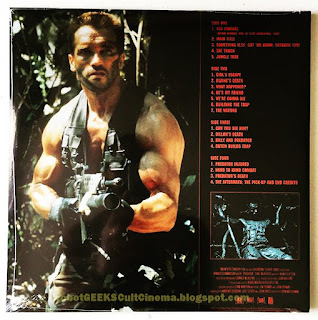 Among the truly inspired touches are the eerie, descending strings as the Predator descends to earth, the propulsive military march that introduces the commando team, and the simple trumpet fanfare in “He’s My Friend” that laments the loss of a fallen comrade. Yet, because the film came out in the ‘90s during the premature death of vinyl, Predator has NEVER been released on LP…till now. 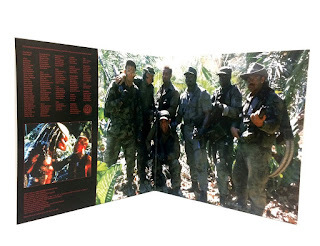 Real Gone is proud to present Alan Silvestri’s score to Predator in a double-LP set featuring newly commissioned, custom front cover art by Rafał Wechterowicz that captures the Predator in all its ugly mother******ness, with additional stills from the production decorating the gatefold package. The sound to our release is taken from Intrada’s 2012 complete and definitive edition of the score, and it comes on green and brown “camo” vinyl limited to 1300 copies. Get it before it disappears into the jungle! The Disaster Artist Official Trailer Is Up! !